We’ve featured multiple different community foundations who utilize The Fund Raising School for different classes and in various structures. Many of these organizations work with Liz Jackson, associate director at The Fund Raising School, to bring in faculty members to teach to the nonprofits that the foundations support. Many of the featured foundations come from Indiana as well. So how does it work when a foundation wants to send its grantees to public courses, and that foundation is in Wichita, Kansas? Short answer: It’s not a problem. And a partnership forms that benefits all parties involved. Courtney Bengtson, director of strategic initiatives at Wichita Community Foundation (WCF), spoke about the foundation’s program Magnify. The program takes the portion of discretionary funds that the foundation receives and uses it in experimental ways to facilitate programs, learning, and nonprofit professional development. “One of the first things that typically gets cut from nonprofit budgets is professional development. So, we want to provide training to staff members and organizations to help make a stronger community here, which is our ultimate goal,” Bengtson explained. 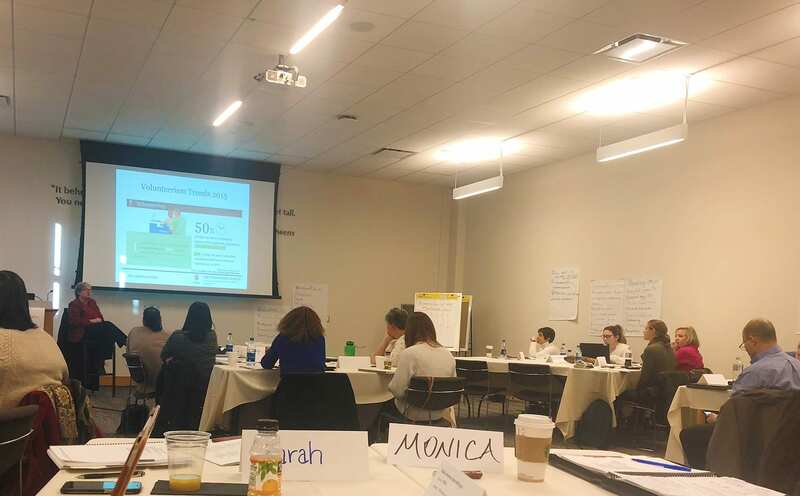 In a first iteration of the program, the foundation offered nonprofit professionals the opportunity to attend conferences relevant to them and their organization via an application process. While the grantees learned the opportunities to attend, the foundation staff realized it was not sustainable. “We knew the program would keep growing, so we needed to adjust to serve the needs of nonprofit staff at a more efficient rate,” Bengtson said. After working with Jackson on the structure of the partnership, WCF planned to send four cohorts of 7-8 grantees to one of four public courses, based on the interests of past Magnify participants – Principles and Techniques of Fundraising, Developing Annual Sustainability, Fundraising for Small Nonprofits, and Proposal Writing and Grant Management. Applications for the program numbered so high that the foundation increased the number of cohorts to six. Instead of bringing The Fund Raising School and a custom program to Wichita, the foundation recognized the benefit in sending the cohorts to Indianapolis to participate in public courses. “Based on previous research that we had conducted, grantees saw value in getting away from their every day job. We also saw that these small groups created cohesion, and this cohort model has worked well,” Bengtson explained. 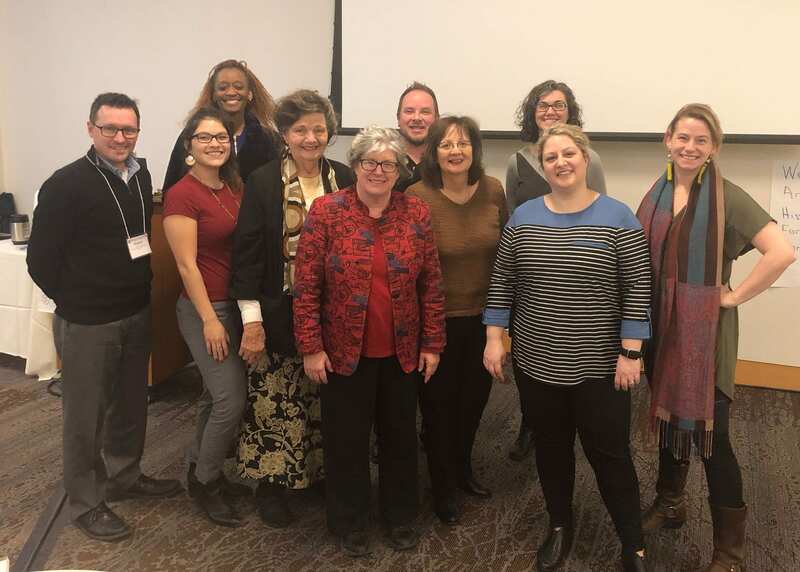 Upon returning to Wichita, grantees were invited to take part in a group cohort lunch with Bengtson and WCF board members to discuss what they learned, how the foundation could provide support moving forward, and what would enhance the program. And what’s been the feedback so far? Take it from the participants themselves. –Susan Moellinger, Co-founder and Vice Chair of Passageways, Ltd.
As a whole, what’s the benefit of a partnership between a foundation in Kansas and a school in Indianapolis? For Bengtson, the partnership is simple: “The Fund Raising School provides training that we know is credible, relevant, and well-received across the sector. We’ve been able to offer these opportunities to learn from the experts for these nonprofit professionals, who would be unable to attend the course otherwise. Have you had professional training with The Fund Raising School? What was it like? Leave a comment below!